Rs. 30,000 is a really good budget to have to buy your first bicycle. You can buy well made and a balanced bicycle with a good alloy frame. The bicycles can have a variety of good components like disc brakes and gears to make your ride quality even better. Hence, I have compiled a list of Best cycles in India under 30000. This budget also provides the flexibility to either buy an MTB (Mountain Bicycles), Hybrid or a Road bicycle to commute over a long or medium range distance. Buy a good bicycle also ensures reliability and you need to spend less later on maintenance. If you looking just for a single recommendation, I suggest you for Montra Blues. At the time of writing this review, the bicycle was available on Amazon for a price well below Rs. 30,000. It is a hybrid bicycle, which gives you the benefit of both, Mountain as well as Road Bicycles. Montra as a brand has consistently featured on our best bicycles list. It is an Indian brand owned by TI Cycles (Owner of Hercules & BSA Cycles in India). This particular model, Blues 1.2 looks really nice and modern. The looks are enhanced by the Black and Blue colour combination used on the frame and other components. This is a hardtail bicycle. The frame is lightweight and combined with a flat handlebar is easy to ride. You can use it on road for daily commutes or for a recreational ride in the evenings. The bicycle frame uses a lightweight 6061 Aluminium alloy. The cycle has an 8×3 (24) gear combination. The product is equipped with Shimano Altius as the front derailleur and Shimano Acera as the rear derailleur. The shifting of the gear is quite smooth. It uses Shimano Altius SL-M310 thumb shifters. The bicycle frame has a slant on the top. This makes it easy for women cyclists to use this bicycle with ease too. The cycles come with dual mechanical disc brakes. Even the brake levers are made out of metal alloy (Promax XL-90) to give you better performance and reliability. The cycle uses XMR 700C, double walled alloy rims and Wanda BMX style tyres. Ghost bicycles is a relatively young brand. This was formed in North Bavaria in the year 1993 by two bike enthusiasts. They are known for producing high-quality professional bicycles. The SE1200, on similar lines, is a quality MTB from this brand. It has a minimalistic black and green coloured frame and looks quite elegant. The bicycle is equipped with Tektro V-Brakes. If you can stretch your budget slightly higher above 30,000 INR, you can go for the Schwinn Super Sport 2. This is an ideal bicycle for someone looking to commute daily at a distance of 10+ Kms. This product is a perfect example of mountain bike being made hybrid to suit the roads. The cycle is equipped with a light-weight triple-butted aluminium frame. It has a Cromoly fork design for a smooth and comfortable ride over longer distances. Comes with dual Ektro Aires disc brakes for enhanced braking performance. The bicycle wheels are equipped with double-walled alloy rims with Kenda K-193 700x32c tyres. Lapierre is a French brand founded in the year 1946. The brand is known the world over for its endurance bikes and MTBs. The shaper is a really good bicycle for someone who is just starting out but has ambitions to take part in bicycle races that happen in India. This bicycle is a perfect combination of stability, speed and comfort. There are hardly a few bicycles available in India that can match this feat. The tyres used on the bicycle are Michelin Dynamic Sports 700X28 mounted on Alex Rims 700C 32H rims. The Shaper 100 sports a comfortable gel-filled saddle. The bicycle does not have disc brakes. It uses wire brakes on both front and rear tyres. Btwin is a brand of bicycle owned by the sports store chain Decathlon. The brand is known for selling high-quality sports equipment at a very reasonable price. The same can be said about its bicycles as well. This MTB uses a specially designed Btwin Evo alloy frame. The bicycle comes equipped with a dual Hayes MX5 disk brakes for efficient braking. The cycle uses an adjustable Suntour XCT fork. This helps you ride easily over minor potholes or an off-road trail. Gears: The cycle comes with SRAM X3 8-speed rear derailleur. Microshift MS22 front derailleur. SRAM X4 shifters with speed indicators. This is the first and only road bicycle featured on this list. This is a good bicycle for someone who has experience riding and now wants to clock some additional distance at higher speeds. These bicycles are not built for comfort, instead assists the rider to assume a posture to help him/her rider faster. The cycle uses a lightweight aluminium alloy frame. 14 gears to help you tame a variety of terrains. There are no disc brakes. The bicycle uses a standard V-brake system – Promax RC-452. Lack of disk brakes and low gears also further helps the bicycle to keep its weight down. Montra Unplugged is fitted with Kenda K191, 700 x 23C tires mounted on XMR 700C, Alloy Double Wall 32H rims. However, for those who are gifted with height, should definitely go for this bicycle. The ride quality & looks both are superior even compared to Montra Blues I reviewed earlier. The bicycle frame is made using 6061 Aluminium alloy with a carbon finish. The cycle has Shimano Acera Altus 27 Speed Gears with easy fire shifters. Your daily commute is made easy with front SR Suntour Lockout Suspension. The bicycle uses double-walled alloy wheels with Kenda 29 Inch Tires. The bicycle also has a double hydraulic disc brake system for better braking. The bike uses Quando Alloy Quick Release system for ease of maintenance. Ridley bikes is a Belgium based brand which was established in the year 1997. They are known for their well researched and efficient racing cycles. The frame is made using lightweight 6061 Aluminium alloy. 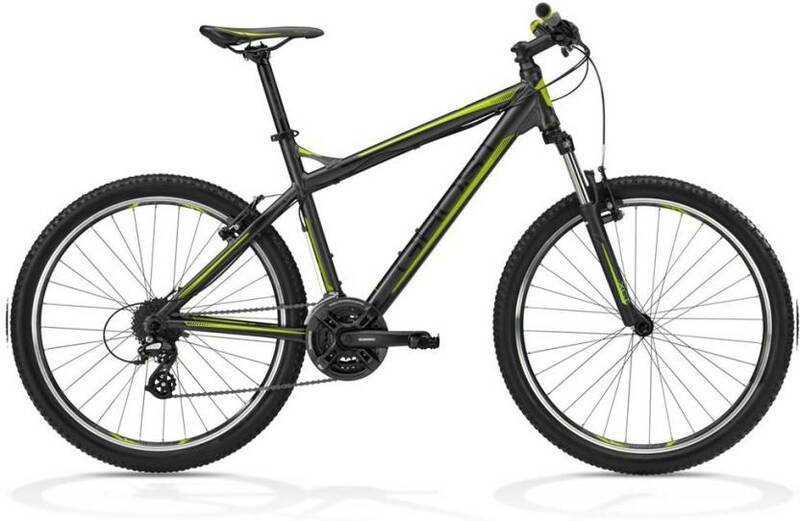 This MTB uses high-performance Shimano BR-TX805 Hydraulic Disc Brakes. The bicycle uses Kenda Fifty-50-K1104, 27.5 x 2.1-inch tires. It uses the Alex MD19-Alloy Double Wall 32H Disc Rims. This is a really good option for some looking for a bicycle to commute in the city. You can use it for daily commutes to office, school or college. The manufacturer provides a 5-year warranty for the fork and 1 Year warranty for Tyres, Wheelset and Drivetrain. Tyre used Schwinn Sport, 700×35c – Rim used is made up of a double-walled alloy. Note: Most bicycles bought online will come partially assembled (Around 85% assembled on an average). You can use this to know more about your cycle while assembling it. Else, if you find it too difficult to assemble, you can take help of your local bike shop. I hope this list of the best cycles in India under 30000 helped you select the right bike for your usage. Which cycle brand did you select? How was your shopping experience online? Did you assemble the bicycle yourself? Leave details of the same in the comments section below. Can you recommend dual suspension/shock absorber bikes under 20 25K? Is suspension/shock absorber a vital feature? Is it advisable to buy dual suspension/shock absorber bike for this price range? Considering the price revision and discounts offered on the models suggested by you, Can you please also include cycles which will now fall under the price category of under 20k – 25k? Please recommend me a bike under 20-25k. I am 5ft 8 inch. I live in City which cursed with traffic, potholes and illegal speed breakers. I will be riding the bike 2-3 times a week covering a distance of 20-40 km max on a single trip with occasional long rides. I want a bike which is maintenance friendly, rust free and offers great riding experience. 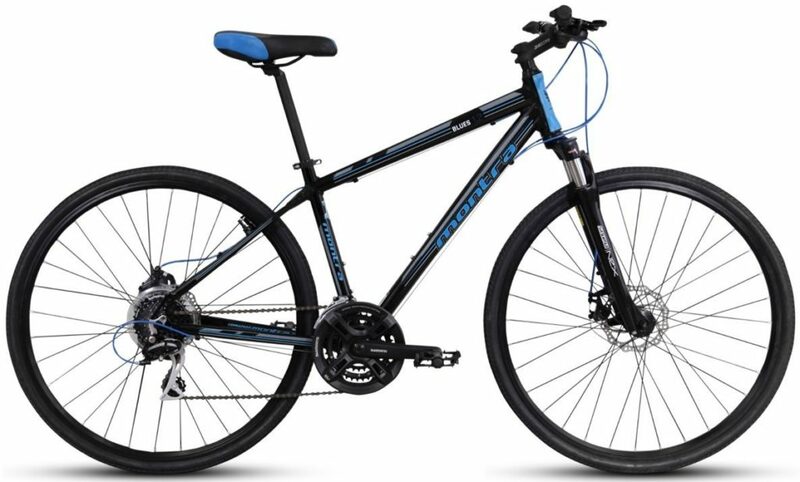 I am looking for a bike which has dual suspension, dual disc, large frame >18″, large wheels >26″ and rust free body. Please advise if I need to reconsider anything. I can stretch my budget till 30k if the cycle offers more value for the money spent. b. Two suspensions cause greater drag and hence you require more energy to ride the bicycle. Since you plan to ride up to 40 km in a single ride, dual suspensions are not recommended. If you the roads you plan to use have a lot of potholes (that you cannot avoid) for the single suspension bike. If you can do without suspensions the best bet amongst all bicycle would be the Lapierre Shaper 100. You can find links to the all the models I discussed in the article above. 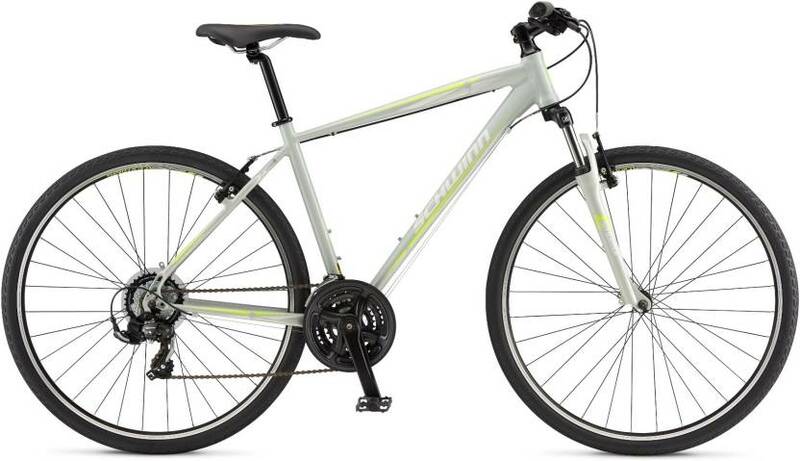 Schwinn Searcher 4 looks like a sweet deal but I am also considering Btwin Rockrider 520, Raleigh Conan and Rockrider 540 as my options. 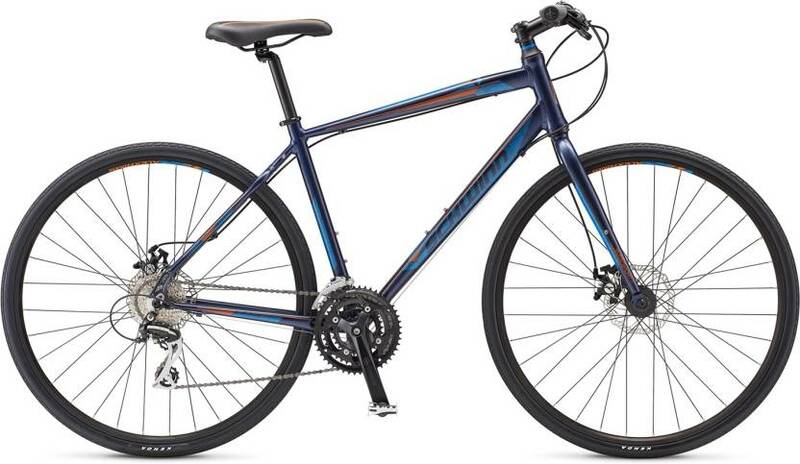 Can you help me choose between Schwinn Searcher 4, BTWIN ROCKRIDER 520 and Raleigh Conan? I am glad you are considering the bike I suggested. I will not recommend either the Rockrider or Conan for your needs as both of them are MTBs. I am not sure about your fitness levels but most people would find it difficult to do a 40 km run on MTBs. Hybrids make a better sense when you wish to travel such long routes. I would like to seek your advice for a bike within 30K, I would love to keep one for fitness and weight loss. I will be using about 10 – 15Km everyday and maybe long ride one or twice a month. Please suggest me what kind of bike will suit me and my height is 5.7″. You can opt for the Montra Blues 1.2. You will find a link to view and buy the product in the article above. I selected a Frog Plasma 700, 21 speed bike. Although I am bit late for any suggestions. I could not find any decent reviews in India so can you provide some insights? Also I was a bit curious to why it is not included in your reviews. It has some really good features and could be upgraded and also could be used as MTB by changing tires. Sorry, I haven’t tried this bike and hence cannot comment on the same. Since you are an experienced rider, do you wish to opt for road cycles? If so, have a look at the Montra Celtic 2.1 (2018 Model). Please be careful when you buy a cycle from Track & Trail, recently I bought a cycle (Montra blues 1.2)from Track & Trail, Kukkatpali, Hyderabad. I felt like I was cheated with one old stock or used cycle, while I paid for new one. Also riding is not that much comfortable and wheels are creating noise continuously. Thank you for sharing your experience with the community. Did you try going back to the store to discuss your issues? I am sure they will help you with them. I have heard good things about stores in Bangalore at least. Can you please guide which bicycle has the best front suspension around 20k rupees. The gear sets on most bikes are kinda similar, but very less data is available about the front forks. Which front forks are the most reliable around 20k. I am getting a 10 m old used cannondale catalyst 3 in 23k. I heard some negative points about its suspension. Is it a worthwile purchase. Can you please guide. Hi, I am a 5’5″ feet man I like to choose a bike under 30k . 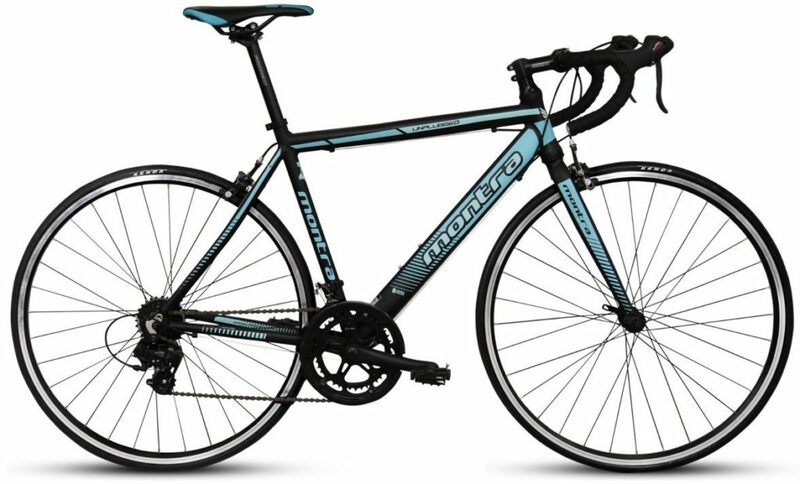 I am confused in schwinn sercher4 and ridley trailfire 2 . I like to use for city ride and weekly off-roading . Which will be good..
You can opt for a hybrid cycle. The Montra Blues (Link to buy it is provided in the article) is a really good option. Do have a look at the bike. Hope this helps. I’ve been looking at the Ridley Trailfire 2 for quite some time, it seems like a solid choice given the recent discounts , just wanted to know what was the approximate weight of the bicycle, and if there were any other similarly specc’d bicycle worth looking at? I need your suggestion for which bike to buy. Trailfire is an MTB, so I would remove the same from the list of options. Amongst the remaining two SuperSport 2 is surely a better choice but it is expensive. For your need, I guess this bike would surely do the job. I suggest you opt for the same. 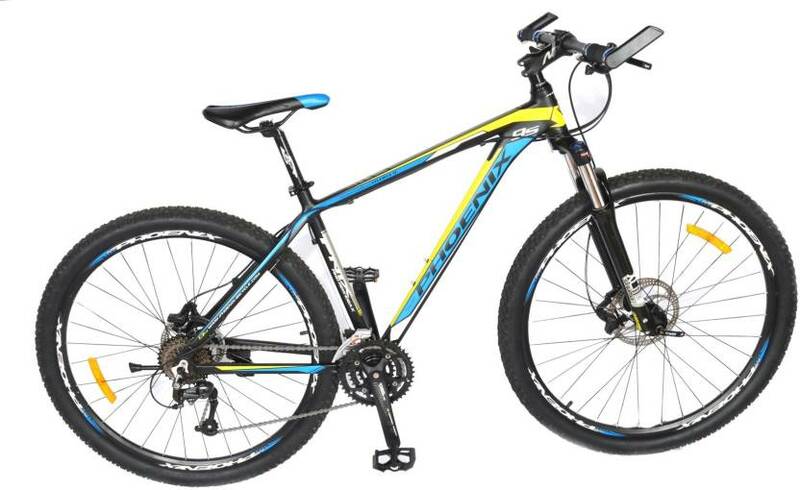 I am in two minds whether to go for Firefox Maximus 29er or Montra blues 1.2D. Having doubts if road conditions of bangalore need a mountain bike or a hybrid will be fine. I intend to do longer rides (beyond 50km) in near future. Both are currently below 30k. Also is there any other brand you can suggest near this price point for such usage? My weight is 107 Kgs and aged 42 years. After 20 years I wants to start cycling for my health. wants to ride it at least for 1 hr daily. Which cycle you consider best for my situation. Budget No Problem. Sorry for the delayed response. If you plan to ride in surrounding areas and have some fun riding, opt for this MTB by Btwin. However, if you plan on commuting longer distances over the period of time or cycle in a group, I suggest, you go for this hybrid bike by the same company. I am 36 years old. I weigh 108 kg. My height is 170 CMS. I am looking for a bicycle for exercise. My budget is around 16000. I will be mostly riding on the road. My usage will be 10- 15 Kms daily. 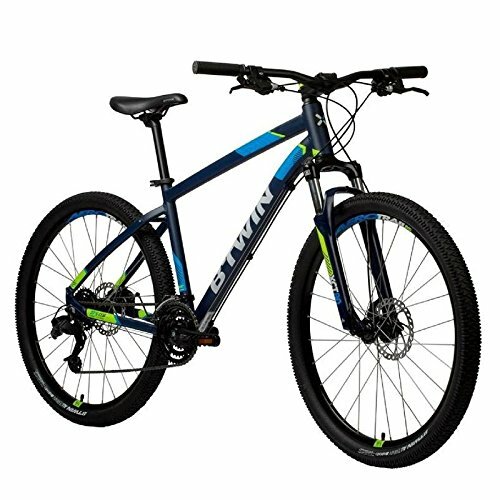 Can you suggest to me some bicycles in my price range and suitable for my weight? 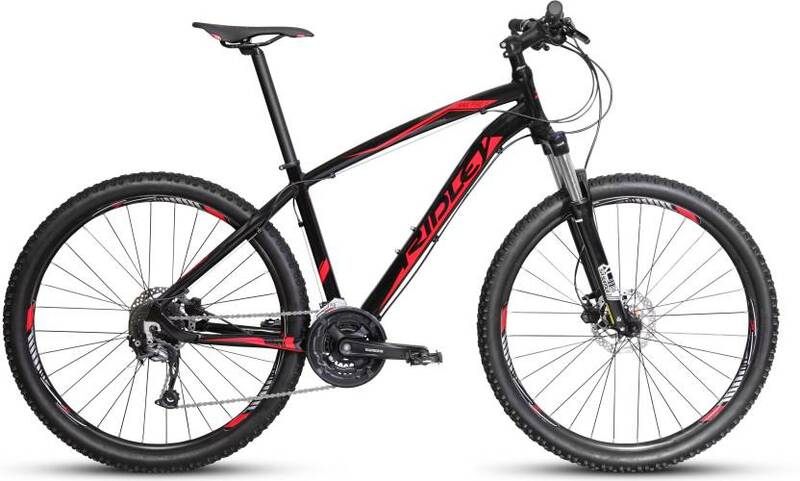 I like the Ridley Trail fire 1 bicycle with 27.5 inch tyres. It’s available for around Rs. 18, 500 in Flipkart. Will it be very difficult to ride it on the road? Also I Montra Helicon disc is in my budget. Kindly advise which will be a better option. If you wish to buy an MTB, you can have a look at Montra Backbeat as well. However, since you plan to ride around 15 kms a day, a hybrid bike will make better sense. I suggest, have a look at this model from Montra. Currently my weight is 103kg, height-172cm, age-27 years and i live in himachal pradesh. In here roads are not in “ok” condition. So i need a cycle with good frame and durability o handle my weight and bad road and good gear for long durability. My daily usage(commute) will be 20+km and on weekends 40+km. I will ride the cycle approximately 500-600km per month(until i reach my goal). There are too many options in the market and i am confused which one is right for me. My budget is under rs.20,000. Please suggest me good cycle for daily usage and good braking because usually roads are not good here. If the roads are bad, you can opt for an MTB with a front suspension. However, this will increase the effort required to cycle. So do keep that in mind. I would recommend this model by Montra in your budget range. i want to buy a cycle for use in the city mainly, and my budget is 20k. I’m 5’11”, 90 kg. i plan to do around 5-7 kilometres everyday. 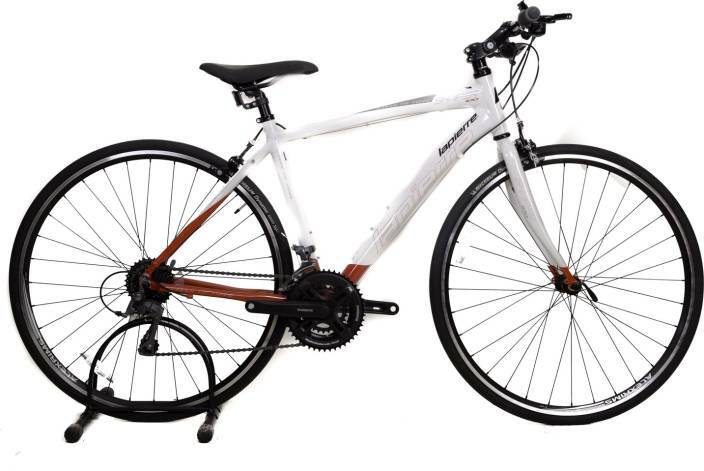 i have shortlisted a few bikes, please help me in choosing. Also, I have found that very few stores store Raeigh cycles. is there any reason behind this? Another question that i have is if i should buy it online or directly from a store. Since you don’t plan to ride really long distances, you can go for an MTB. Out of the bikes you choose, I really like this one.